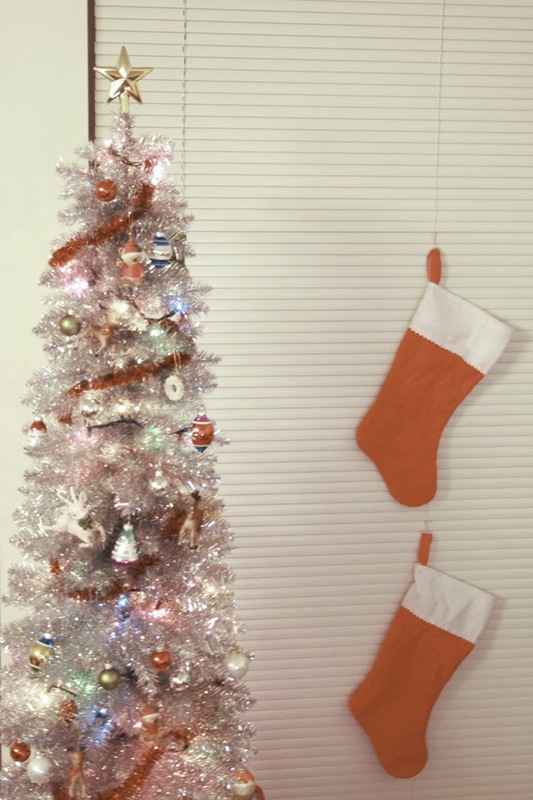 We bought a silver tinsel tree, and it's super kitschy sweet! 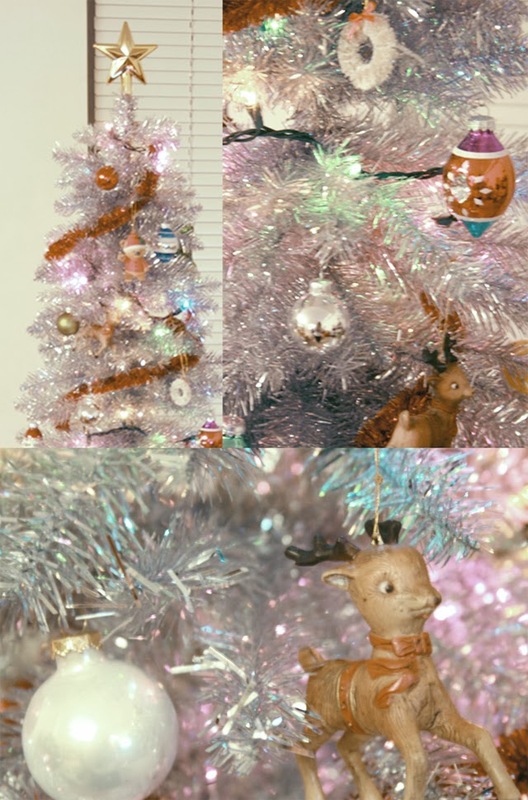 I'm obsessed with 1960s christmas kitsch - it's the best. I've been scouring ebay, bidding on vintage mercury glass ornaments, but I keep getting outbid. I think I'll just collect them throughout the year, and by next year I should have a full set, haha. Also! 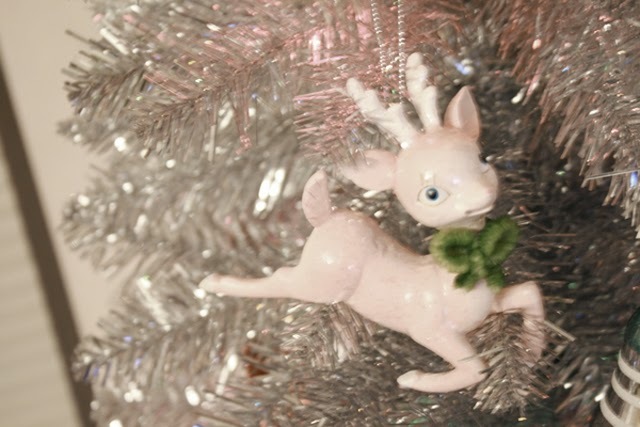 See the reindeer ornament in the photo below? I got that a target. Isn't it beautiful? I would have bought a million more, but it was the last one. Also, I signed this pledge to give books this christmas. You should, too. We've already got almost all our holiday shopping done. It's been super fun to pick out the perfect book for every friend and family member, and we also get to feel awesome about supporting our local bookstores. 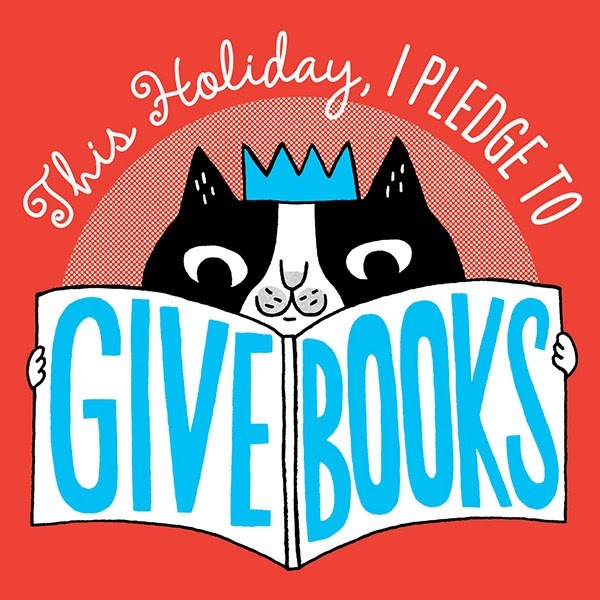 So, maybe you should make the pledge to give books this year! Also, lemme know if you guys have any book recommendations! I need to take a little break from the Song of Ice and Fire series, and I have no idea what to read right now.